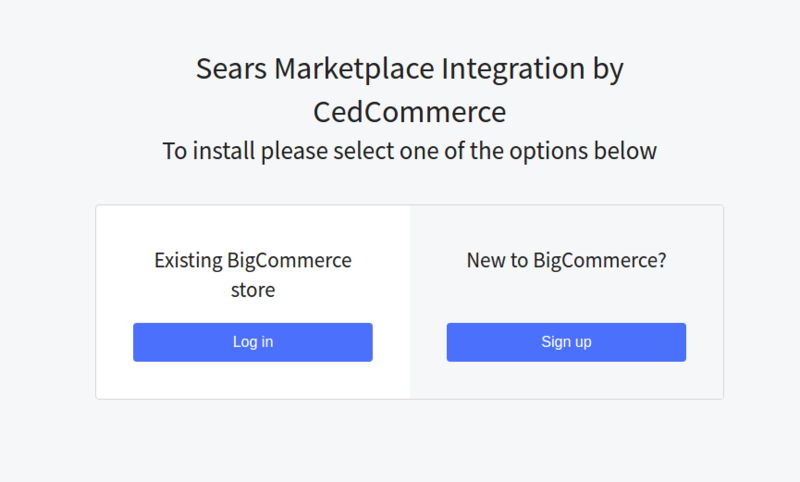 3.How To Install the Sears Marketplace Integration App? This section covers the process of App Installation that talks about how to get the app from the App Store and then install it in the Bigcommerce store. Go to the Sears Marketplace Integration App link. If You are New to BigCommerce then Click Sign Up or If You have existing BigCommerce Store click Log In Button. Enter the Login credentials, and then click the LOG IN button. After logging in You will have to Click on the Apps section and then search Sears Marketplace Integration App. 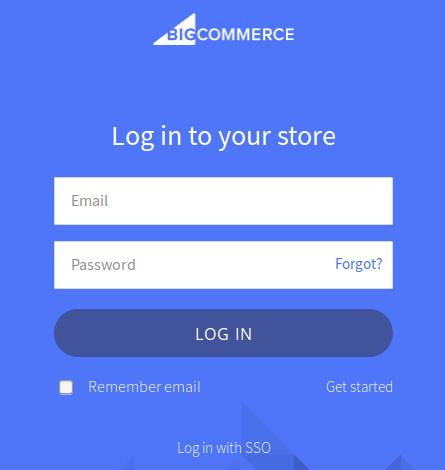 The app is successfully installed in the BigCommerce store and the Registration page appears in the right panel. Continue further to complete all the 6 steps of the Configuration Settings.